Puppy Love, Much? 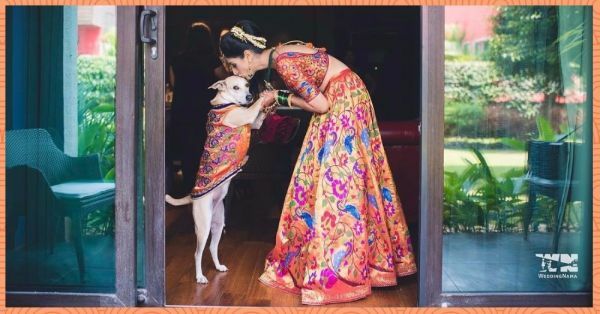 Here Are Some *Adorable* Doggie Moments From The Shaadis Of 2017! What good did we ever do to deserve dogs?! For all of you who agree with what we just said, this story is going to brighten up your day! From puppers helping their hooman propose to the girl of their dreams, to doggos helping their people announce their wedding date…we have a cutesy bunch of pictures of brides, grooms and their adorable pets. Take it as an inspiration for your wedding or a just a quick read that’ll make you go, “awww”! 1. The doggos who helped the guy propose! Oh yes, they did! 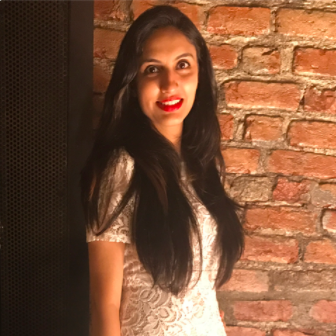 Mitali is a dog trainer and nutritionist by profession and she was in for a pleasant surprise when her boyfriend proposed to her with the help of the doggos she was training. Mitali’s own pup Pantu was also a part of the proposal and the guy actually made one of the dogs carry the ring to her! Those pooches look even more excited than the couple, don’t they? Since the proposal was sooo cute, how could Mitali not do something fun and unique for the wedding? She dressed her Pantu in a coat made out of the same fabric as her lehenga. And that’s how adorbs it looked - mommy and baby twinning with all the swag. 3. Because her pupper is her bae too! We’ve seen brides get their fiancé name written in their mehndi. But this bride went a step ahead and got her adorable doggies name along with his sketch in her bridal henna! Now if this isn’t love, then what is?! 4. Not taking those vows without her bow-wow! And in an act of utter cuteness, this couple took their wedding vows with not just each other, but with their pooch too! He was right behind them while they took the rounds around the holy fire. Now that is true commitment. You get married, the doggo gets married with ya! 5. Hold me tight and never let me go! These two doggos couldn't trust their hoomans with doing the right thing at their save-the-date shoot and so they jumped in to help their mommy and daddy! Plixxo Super Blogger, Kavya D'souza of Streak Hue Fall looks gorgeous in this one, doesn’t she?! That’s just what it is - unconditional, unlimited love captured in a frame. After all, once her baby, always her baby! Cuteness overload all these pictures of brides with their dogs are, no?